Did you accidentally break your key off in the door lock? If so, then you need a professional door repair service immediately. 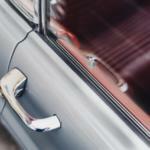 Auto Locksmith offers a wide range of services including commercial, residential and automotive assistance. When a key breaks inside the lock cylinder it’s a very unfortunate situation. Luckily, there are professionals that can help you quickly. If the key broke inside the door lock cylinder there is a good chance that the lock will not have to be replaced. The locksmith will lubricate the lock to ensure the piece slides out easily and causes no damage to the lock. The lock cylinder will only need to be replaced if there was damage caused when the piece broke inside it. Regardless if the key broke inside the door lock or in the ignition, the process is fairly simple and only takes few minutes to complete. One very important thing to remember in this situation. Never try to start your car or extract the key piece yourself. You can cause additional damage that will cost you more time and money. Also, the locksmith can help you if you need to repair the trunk lid. You don’t have to worry that it will take too long, or that you will need to replace a trunk lock. First of all, mobile locksmith arrives to your location after you call. Second, they have professional tools that are made to safely and carefully pick the lock avoiding any possible damage. Also, if your trunk lock broke or jammed, the locksmith will be able to repair it right at the spot. In some cases, the lock may require replacement, if there was some damage before and it doesn’t work properly. In any case, a locksmith will give you professional advice on that and make sure to do everything possible to repair the locks. Another thing you can ask the locksmith to do is make a spare copy of the car key, so you can easily avoid the car lockout in the future. 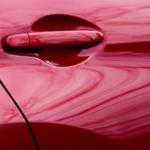 So, if you need door repair , don’t hesitate to call Auto Locksmith right away!